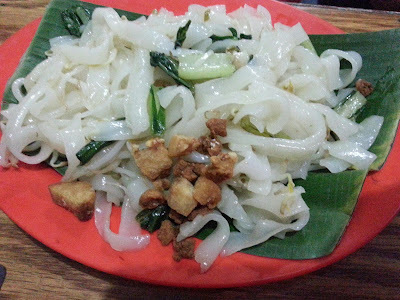 Note: This place is more trickier to reach than Kwetiaw Aling. 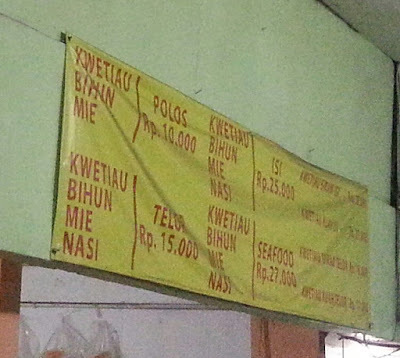 Enter from Taman Duta Mas and just follow the road for 10 minutes until you found the shop at right side of the road next to Apotik Medan Utama. The signage is very small and hard to find. 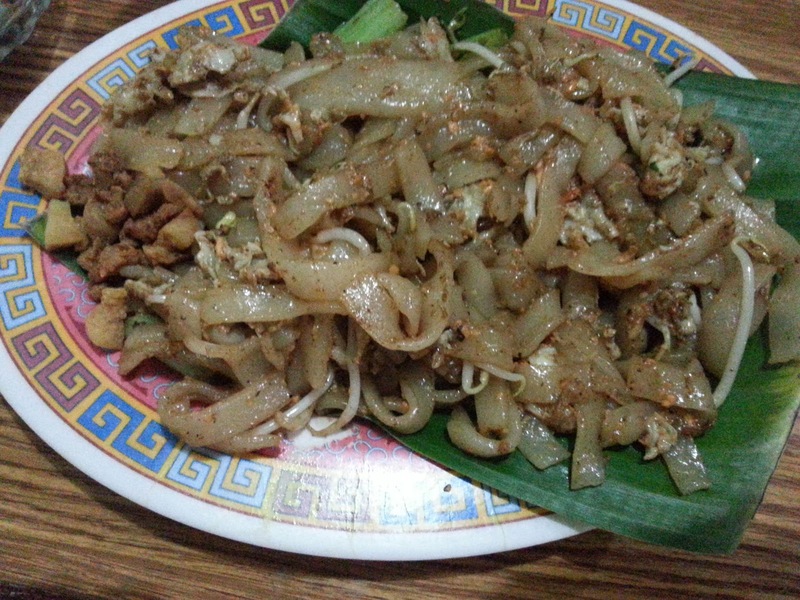 Kwetiaw Polos (Plain Fried Kwayteow) come with plain fried kwayteow, chye sim, bean sprout and crispy pork lard. Taste good and tasty. 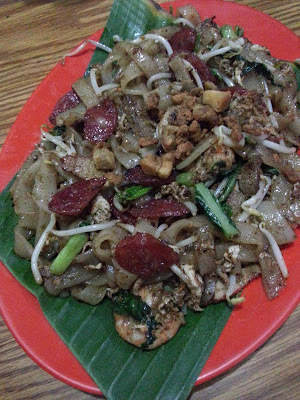 Kwetiaw Telur (Fried Kwayteow with egg) come with fried kwayteow, sweet soysauce, egg, chye sim, bean sprout and crispy pork lard. Taste nice and delicious. Kwetiaw Isi (Fried Kwayteow with prawn, sliced pork and pork liver) come with kwayteow, sweet soysauce, egg, sliced charsiew, lap cheong (Chinese sausage), prawn, sliced pork and pork liver, chye sim, bean sprout and crispy pork lard. Taste nice and savory.